Are the wedding bells ringing, but haven't decided on a venue yet? The grandeur and rich history make Savarin the most romantic and memorable venue for your wedding. Celebrate the day that you declare your eternal love to each other in style at Restaurant, Hotel & Spa Savarin. Of course, this day requires a perfect organization. Our team will arrange this day to the last detail so that you and your partner can enjoy the most romantic and wonderful day of your life. To end this perfect day, you can spend your wedding night in one of our romantic honeymoon suites. Your guests can stay in one of our luxurious rooms. If you are curious about our service, we would love to give you a personal tour and discuss all of the possibilities to make this the most beautiful day in your life. 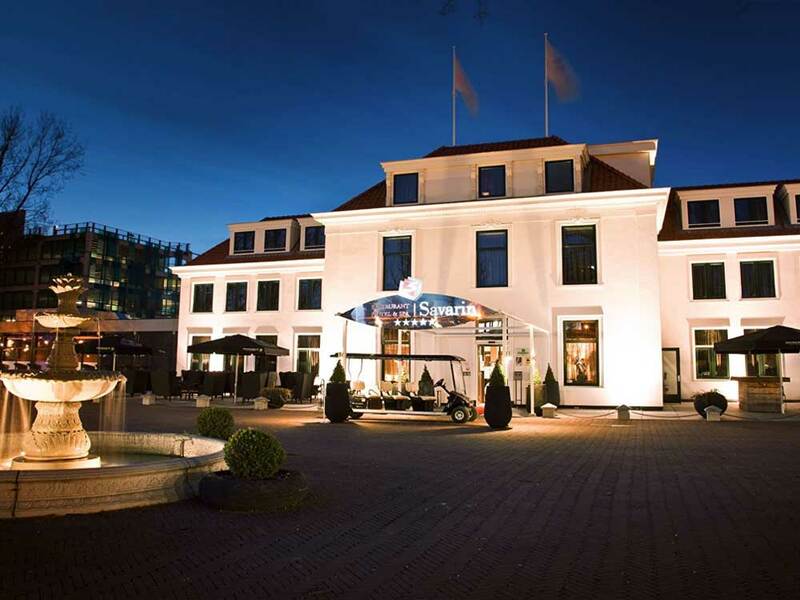 Restaurant, Hotel & Spa Savarin is an official wedding location of the municipality Rijswijk. This means that you can give each other the “yes-word” in one of our beautiful Salons or on the terrace of our restauant. After the ceremony, there is an opportunity to receive congratulations, toast to marriage and to cut the wedding cake. You can choose from three reception packages from € 12,95 per person. These packages are based on 1,5 hour receptions and are valid from 15 persons. Of course it is possible to customize these packages to your specific needs. It is also possible to extend your package with our Bits & Bites or our bite-size buffets. Bits & Bites are various garnishes and snacks. Bite-size buffet is a buffet with small appetizers. These buffets are designed to complement your drink, reception or party and can be reserved from 20 persons.